If you are in a hurry, why not just read this summary, including the FAQs. There are some excellent schools around Croydon, Sutton and Bromley, but the comprehensives all having very narrow catchment areas not including New Addington and the rest are selective or, for a few of the comprehensives, semi-selective. Most parents are not aware that these are options for high attaining children and even if they did know of and aspire to these grammar and independent schools, they either assume they are out of reach financially, competitively or socially. We believe the choice of secondary school is key to a child’s future progress at school and by widening the choice of schools available, it will eventually lead to better qualifications and greater career choices and prospects. So we set out to inform parents and help pupils to aspire to a top quality secondary education. We all know that many children from more affluent backgrounds get support to pass 11+ entrance exams whether through having a privileged prep school primary education, being privately tutored at home or just getting support from well educated parents. Parents living in New Addington are much less likely to be able to provide this sort of support. So, the Foundation has tried to level the playing field for academically able kids from New Addington. We established a tuition programme whereby four or five pupils at Rowdown identified by the school as being the most able in their year group, or showing the most potential academically, were provided with extra tuition one evening after school. Groups were established for Years 3, 4 and 5 with a tutor provided through the very professional and friendly Fleet Tutors. In the short term this supplements each child’s learning in English and Maths and introduces them to verbal and non-verbal reasoning with a view, over the longer term, that their parents may choose to enter their child into 11+ entrance exams for the better selective schools in the area. We put together information on the benefits of a selective secondary education and the local schools offering this. We also arranged group visits to the best grammar and independent schools in the area to break down any pre-conceived ideas of parents that these type of schools were not for their children. We sat down with the schools and explained to them the aim of the Tuition Programme and we have been impressed and pleased with the level of support they have offered. It must be remembered that winning the offer of places at both grammar and local private schools is extremely competitive. The five Sutton-based grammar schools have around 4-5,000 entrants to the selection exam for a total of c.600 places. The private schools may have lower entrant numbers, but level required to win scholarships and be awarded bursaries – a necessity if parents are going to be able to afford to send their children to these £18,000 per annum schools – makes the pupil’s performance requirement as tough as the grammar schools. In April 2017, Trinity School offered to take over the tuition of Year 5 pupils from the Foundation and expand the scheme to 15-20 pupils which meant we could approach other primary schools in New Addington to nominate their academically able pupils. They have offered to do the same for January 2018 and will be joined by Royal Russell School, offering tuition to up to 20 Year 4 pupils. More on these later. Since 2014, the Foundation has organised tuition in small groups at Rowdown. 25 pupils have received support through the Tuition Programme although only two year groups (9 pupils) have sat 11+ entrance exams: those for 2016 and 2017 entry into secondary education (the 2018 group are currently going through the process). And the results so far have been impressive to say the least. The 2016 group first. They only had 6 months of tuition leading up to the September grammar school exams and this wasn’t enough for them to catch up all the year’s of support and pushing their competitors had received. But it was then amazing how much the extra help benefited them over the next few months. Four out of five of them passed 11+ entrance exams: two, Michael and George, concentrated on the semi-selective comprehensives and passed the exam for Shirley High School for the Performing Arts, guaranteeing them places there. Christopher and Ubaydullaah set their sights at the very top by sitting exams for Trinity and Whitgift Schools, two of the top independent schools in the country. Ubaydullaah excelled in the exams and won a scholarship and bursary for Whitgift, leaving his parents with fees or around £1,000 pa to cover. Christopher was offered places at both Whitgift and Trinity although as the former was without any financial support, he had to “make do” with his offer of a bursary place at Trinity. The school was very keen for Christopher to join them, recognising his natural academic ability after such a short time under tuition. Both boys have settled really well at these schools. They are getting good grades and are making the most of all the other activities on offer. The 2017 group was equally successful, perhaps even more so. Janice only joined the programme in April, so it was not surprising that she wasn’t really ready for the September grammar school exams. The same was not true of Alfie and David. They both worked extremely hard and have now started at Wallington County Grammar School and Wilson’s School respectively. Remember, only about 10-15% of the exam entrants are successful in gaining places, so this is a very positive result. Devonte, like Michael and George, decided that Shirley High was the place for him and he passed the entrance exam. 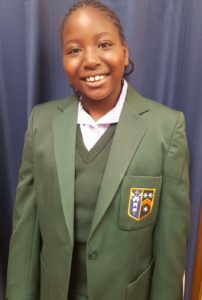 Janice, playing catch up, ended up winning the offer of places at each of Croydon High, Royal Russell and Old Palace schools with varying levels of bursary and scholarships. There was real competition between them for Janice’s favour, but the decision was Old Palace, where Janice is already doing very well indeed. And we are now waiting for the expanded 2018 group to sit their independent school exams in January 2018. 7 of the 15 pupils sat the grammar school exams in September and two have made the grade. They must now wait until March to find out if they have done well enough to be offered a place at Wallington Girls (for the girl) or Wallington County Grammar School and/or Wilson’s (for the boy). It should be remembered that most of the seven have only one term of extra tuition, so we can be pleased that two of them have been successful. Our fingers are crossed for March. Why did the other 8 pupils not take the grammar school exams. Mostly because parents considered it too far to travel right across Croydon borough to get into Sutton. Getting to the likes of Wilson’s, WCGS or Wallington Girls would take at least one and more likely two changes of transport and a mix of trams and buses. It is not surprising that parents, many of which don’t have the access to cars that some of us take for granted, thought this was just too much to ask an 11 year old to undertake either with or, certainly, without an adult. It just shows how educationally disadvantaged children from New Addington are! We are pleased to announce a further expansion of the Tuition Programme in 2018, with 38 pupils from New Addington signed up to participate. This could not have happened without the kind co-operation of Royal Russell and Trinity Schools. Following on from their involvement in 2017, Trinity School have offered to again host a group of up to 20 Year 5 pupils from the four New Addington primary schools that participated last time. Applegarth, Castle Hill, Fairchildes and, of course, Rowdown, have all nominated five of their brightest Year 5 pupils to attend Extension Lessons in Maths, English and Verbal Reasoning for two hours on a Saturday morning at Trinity. They offer this free of charge to parents, primary schools but certainly not at zero cost to themselves. Hence this is a very generous offer from Trinity and one we are honoured to have received. The lessons will be challenging – as will the homework set – and focused on stretching the pupils’ understanding of the subjects. But Trinity have also designed the lessons to be fun and entertaining: it is a Saturday morning after all! The lessons start on 13th January and will run for the whole of 2018 (therefore into the pupils’ Year 6) during Trinity’s term time, with the key dates being the September grammar school entrance exams and then those for the independent schools in December 2018 and January 2019. Using Trinity as an example, we have managed to persuade Royal Russell School to offer lessons to a Year 4 group of pupils, also up to 20, from the same four New Addington schools. To be honest, it didn’t take much persuading as Royal Russell management were keen to offer these Maths and English Masterclasses together with an introduction to Verbal Reasoning, recognising that they can contribute greatly towards our aims of social mobility over the long term. These Masterclasses will take place for an hour after school on a Monday at Royal Russell. RR are a perfect partner for this younger group given they have the Junior School there and are therefore very used to teaching able 9-10 year olds. Again, there is no cost to parents, primary schools or the Foundation so we are indebted to Royal Russell for their generosity. It is hoped that many, if not all, of the pupils receiving tuition at Royal Russell during 2018 will move onto Trinity School in 2019 for a further year under the Tuition Programme giving them two years of being challenged and thereby improving their chances of passing 11+ entrance exams to the required standard for places at grammar or independent schools with the necessary scholarships or bursaries. 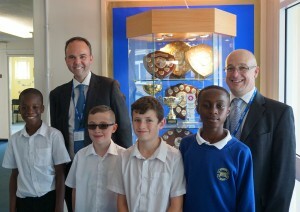 All the pupils for the two parts have now been enrolled and, when we met with them, are excited by the opportunity. All the parents are enthusiastic as well: this is a vital part of a child’s nomination for the Programme. The Rowdown Foundation is lucky enough to be finding lots of able and willing supporters for our Tuition Programme. We would like to say thank you to all individuals and organisations working with us to help change some young people’s lives forever by giving them the opportunity of attending some of the best secondary schools in the country. As noted above, Royal Russell School has now joined the Tuition Programme for 2018 by providing Masterclasses to a group of 15-20 Year 4 pupils from New Addington schools. Their Headmaster, Chris Hutchinson, has always been an enthusiastic supporter of our aims and genuinely believes in social mobility. He says ““Royal Russell believes in giving the opportunity of success to all of its pupils and is delighted to be supporting local children and the Rowdown Foundation in this inspired initiative.” He is now enthusiastically joined by Mr Thompson, Head of the Junior School, and his team who have put together an exciting schedule of Masterclasses for the group. We hope 2018 will be the first of many years of co-operation between Royal Russell, the New Addington primary schools and the Foundation. In a goodwill gesture to show their support for the low income families that the Foundation is supporting, several of the independent schools agreed to waive or reduce their registration fees for pupils benefiting from the Tuition Programme. The Foundation was therefore able to cover any of the remaining fees to ensure none of the parents were put off by the cost of entering their child for the 11+ exams. We would also like to thank the primary schools for their co-operation: at times we have to ask them for information that we are sure they would rather have the time for other duties. Their enthusiasm for the Programme helps to keep us motivated. 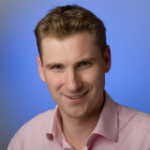 And finally, we should thank Chris Philp, MP for Croydon South, who has added his support to the Foundation’s aims of social mobility, offering to introduce our Tuition Programme concept to the Department for Education and within the independent school community. If the Foundation can be the case study for a wider initiative, then we would be very proud indeed. Applications to join the Tuition Programme can only be made through the primary schools that have joined the Programme: Applegarth, Castle Hill, Fairchildes and Rowdown. The 2018 Year 4 and Year 5 classes have now been fully enrolled. Whilst occasionally we do have a child drop out of these extra lessons, we do not maintain a waiting list. If you are a parent of a child at one of the four primary schools and you think they would benefit from being on the Programme and has the requisite qualities, please contact the Head Teacher at your primary school. If they agree with you, they will let us know that your child is waiting in the wings for any vacancy that might arise. But they are few and far between. If you have any questions on the Tuition Programme please do use our contact form to ask us. Unfortunately, the Foundation does not have enough funding to cover the fees of private schools if a pupil successfully passes the entrance exam. However, we hope to be able to provide tuition that is good enough for the candidate to pass the entrance exams and win bursaries or scholarships to the school and that has proved to be the case so far. The Trustees have agreed to set up a fund to help towards the costs of registration, application or joining the admission selection process. With many of the selective schools reducing their registration fees for the 2017/18 exams, it means we have been able to cover all of the remaining exam fees for any parent that has applied. We cannot promise that we will be able to do this every year, but we will continue to ask the independent schools to support these families by reducing their entrance registration fees and we would hope to be able to cover the majority of the remaining amount subject, of course, to certain criteria centring around a reasonable prospect of success and fulfilling their part of the bargain: regular attendance and completion of homework etc. In addition, the Trustees have agreed to have a fund available for the parents of Rowdown children successfully gaining a place at a fully selective school (grammar or independent) to ease the financial pressures of life at such a school. These schools often have more particular – and therefore more expensive – uniform and equipment requirements and, given the often more affluent nature of many parents of children at grammar and independent schools, more costly school trips. In the case of fee-paying schools, there is often some residual fees left to pay after scholarships and bursaries have been applied. Where a family can show that their child might miss out on a school trip or might even miss out on attending the selective school, then they can apply for a grant from the fund. Payments will cover up to 50% of the cost incurred by the parent. Maximum grants per family apply and the fund is first-come, first served although the Trustees believe they have allocated enough to cover what might be required over the academic year. Any parent requiring some financial assistance should contact the Foundation through their normal communication route. We will only accept applications for financial assistance from parents of ex-Rowdown children that have been on the Foundation’s Tuition Programme. If your child is part of the Programme but attended, or is attending, one of the other primary schools, we hope that at some time in the future, some financial assistance will be available at some time in the future.